Recently, the Supreme Court of Pennsylvania issued a monumental decision potentially affecting thousands of injured workers across Pennsylvania. Workers’ compensation lawyer and certified workers’ compensation specialist* Jennifer Kline sheds light on the case and what it means for injured workers. What is the case that has created monumental changes for workers’ compensation, and, specifically, what are the changes? On June 20, 2017, the Supreme Court of Pennsylvania issued a decision in Protz v. WCAB (Derry Area School District), striking the entire portion of the Pennsylvania Workers’ Compensation Act dealing with Impairment Rating Evaluations (IREs). This potentially affects thousands of injured workers in Pennsylvania who have undergone IREs. Before Protz, once an injured worker received 104 weeks of total disability benefits, the workers’ compensation insurance company could compel them to attend an IRE. The IRE was performed by a physician designated by the Bureau of Worker’s Compensation, not the worker’s treating doctor. The IRE physician, using guidelines set by the American Medical Association (AMA), determined the injured worker’s percentage of impairment due to the work injury. 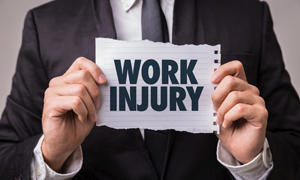 If the injured worker was found less than 50 percent impaired, his benefit status changed from total to partial disability and he was then limited to receiving a maximum of 500 weeks of additional wage loss benefits. In Protz, the court held that the IRE provision of the Act was an unconstitutional delegation of authority to the AMA and struck the entire section of the Act. At this time, the Bureau of Worker’s Compensation is no longer designating physicians to perform IREs. Is the court’s decision seemingly better or worse news for injured workers? There were definitely problems with the IRE provisions. Any impairment rating below 50 percent resulted in a change to partial disability status and capped future wage benefits at 500 weeks. It was extremely rare for anyone to reach that 50 percent threshold. The average impairment rating that we saw was below 10 percent. The end result was that even workers who were seriously injured and never able to return to their time of injury job, were still capped at 500 weeks. For instance, if you were a 26-year-old construction worker with a high school diploma and suffered a crush injury on the job that resulted in multiple back surgeries, once your impairment rating came back at less than 50 percent, you would receive compensation for a maximum of 500 weeks (approximately 9.6 years), at which point you would be 36 years old and still unable to go back to your previous construction job. It’s often very difficult to switch careers with a high school diploma and neither the time of injury employer nor the workers’ compensation carrier has any obligation to retrain you or pay for continuing education. Nonetheless, at the end of the 500 weeks, your wage benefits for the injury would stop. In that regard, doing away with IREs is clearly a good thing for injured workers. It remains to be seen, however, what the legislature will do about replacing the IRE system. What does this decision mean for injured workers? It’s important for injured workers to know about these changes. Those injured workers who have already undergone IREs may be entitled to a reinstatement of benefits, whether your benefits have stopped because you reached the end of the 500-week period or whether you are in partial disability status and receiving benefits during the 500-week period. For those workers injured who have not undergone an IRE, their case may be impacted by future legislation. In either situation, if they reach out to us, we will review their case and determine the best next steps specific to their case. *Jennifer Kline is a certified specialist in the practice of workers’ compensation law by the Pennsylvania Bar Associations’ Section on Workers’ Compensation Law as authorized by the Pennsylvania Supreme Court.